Due to Nev's crazy bad allergies we never repopulated the cage, and we both terribly miss having the vermin around. A week ago a friend asked if I'd mind rat-sitting a mum and her 5 (3 week old) babies for the weekend as she was going away. As luck would have it, we still hadn't moved Alex into her own room, so there was somewhere to stash them away from cats and away from Nev's nose. Mum was due to stay for the weekend but I was sure she wouldn't mind sharing a room. "Pleeeasseee? They're just eepers, they shouldn't make you too stuffy like our boys did!!" 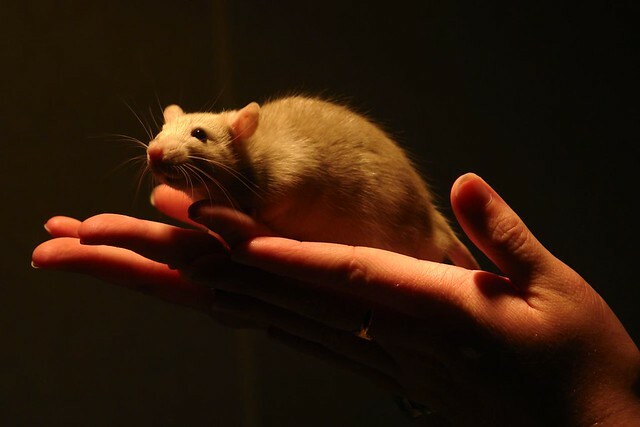 "I've never looked after baby rats before!" "I'll vacuum and dust her room when they're gone!" I got a reluctant do what you want kind of response, which I took as a "sure honey, it'll be your last chance before that room is occupied, go for it!" I also took the opportunity to take some photos, though they were a lot zippier than my lazy boy rats used to be! If you'd like to see the rest of the pics, click on my flickr gadget on the left sidebar. Alex is six months old today! The time has gone so so quickly, and it's amazing just watching her learn and grow every day. 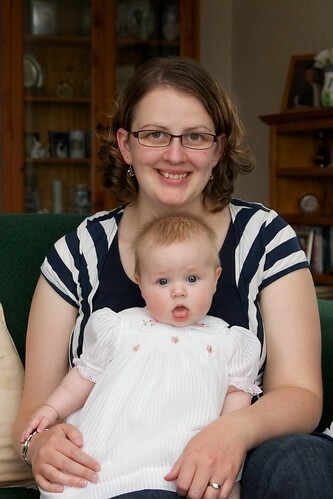 She has just mastered the art of sitting up by herself, enjoys her solids (pears are awesome! ), can laugh, squeal and yell. She has rolled tummy to back a total of three times (a month ago) and can roll from her back to her side but is quite content to wriggle her way around the lounge instead of rolling. She has slept through the night since about 6-7 weeks of age, which has meant she's been allowed to stay in our room a lot longer than we had planned. 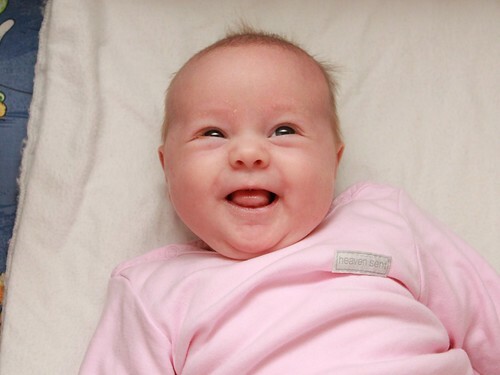 More than once we've woken up to see her quietly watching us from her cot, and the giant grins we get each morning are pretty damn awesome. I can't wait to see what the next six months have in store for us. 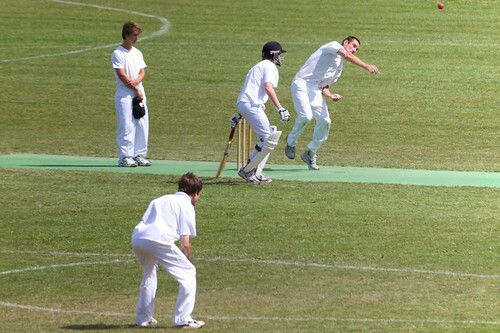 It's the middle of summer, so there isn't much white about beyond the cricketers who come out to play every weekend. The vignetting on this lens is pretty shocking, but I've cropped it all out. HA! I'm not sure what I want more: macro lens or better zooooom lens. 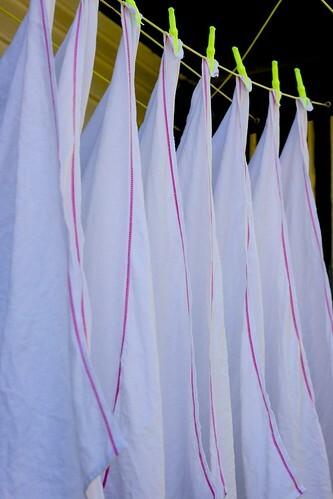 Cricket Whites, originally uploaded by rattyree. 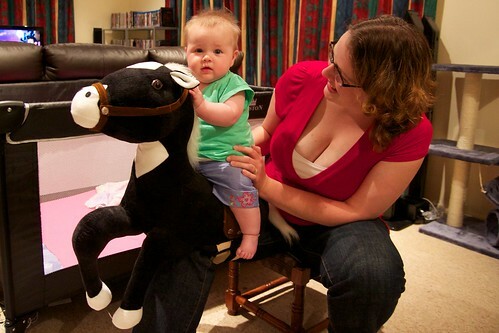 I always wanted a horse when I was growing up. We had Penny for a wee while, a very fat chestnut mare who only broke into a trot if she was heading towards the paddock gate. 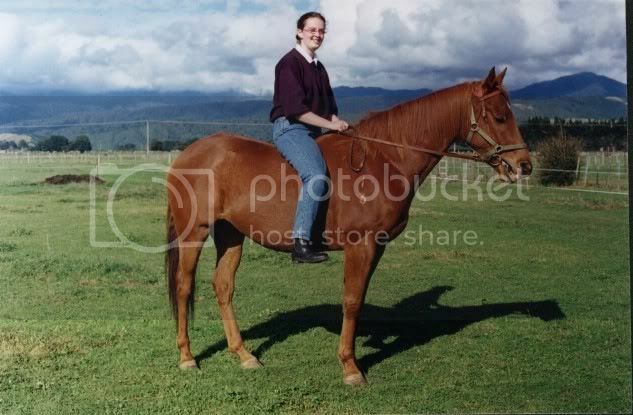 When I was 13 or 14 Dad's friend gave us a thoroughbred gelding that had failed dismally as a racehorse. His name was Bart. He enjoyed bucking. I did not enjoy his bucking. Here's Bart with all four legs on the ground. Like my outfit? 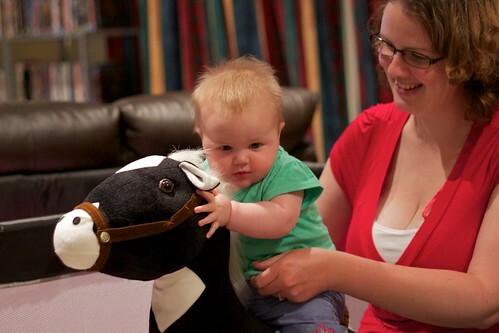 So how cool was it when Alex's Uncle Gary gave her a beautiful black pony for Christmas?? It is way cooler than the ponies I used to make using one of dad's sawhorses, a big plastic rubbish bin and Penny's saddle, but it is not a real pony. 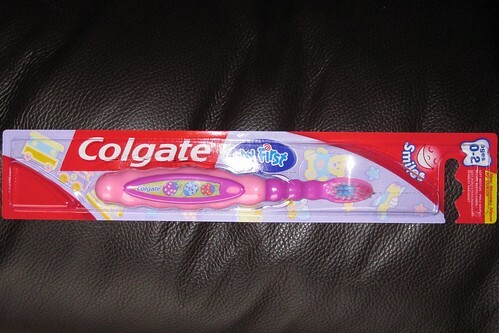 This pony straps to your leg and if you press the button in its ear, it makes clip-clop noises and neighs. I'm pretty sure it won't buck her off either, so that's a good start. The clip-clopping concerned her at first.. But it didn't take her long to lean forward and egg him on just like a real jockey would. His ears were even back because he was going flat out (or they were being sucked on), and if he dared slow down she kicked him in the ribs to egg him on again ...until his (my) legs cramped up and her ride was over for the day. Po-Knee is ridiculous and very cool all at once. I wonder if we should give him a name? My ever helpful husband suggested spiders. I told him to get lost, I wasn't going near any damn spiders just for a photo challenge. He ignored me and went and collected one. The DSLR doesn't have a macro lens (*sniff*) so this was taken on our little ixy. It was also taken through an upside-down glass as the little fecker started JUMPING AT THE CAMERA. 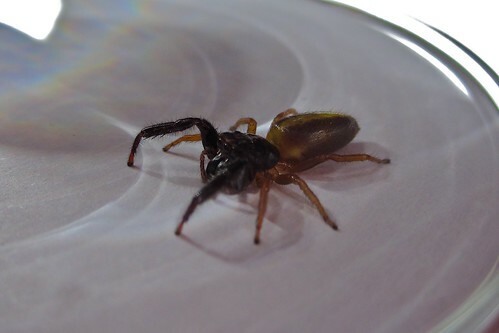 He could've picked me a spider that wasn't a jumping spider. Angry Spider, originally uploaded by rattyree. Anyway, Alex is very excited about seeing Nana again but mostly wants to help dad. 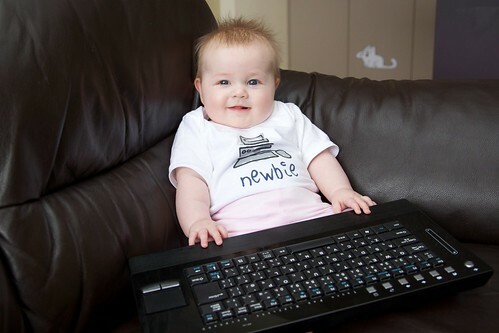 She's so keen to help that she's ready and waiting already! n00b, originally uploaded by rattyree. One of Nev's friends posted this on his facebook wall the other day too. He'd already been talking about how when she's older she could have her own iPhone or iPod Touch so she could video call her grandmothers on Skype. Because they're small and portable (the gadgets, not the grandmothers), she could even take it down to her room to show off all her toys (and leave us in peace! hahaha). This week's entry is very late. I took the photo on Thursday but haven't had a chance to edit it until today. I'm going to go ahead and blame the baby who would not sleep. So Many Nappies, originally uploaded by rattyree. 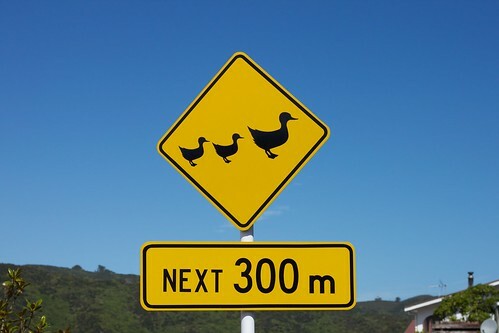 This sign is just down the road from us, where the ducks make a habit of stopping traffic while they wander across the street. Beware of the Ducks, originally uploaded by rattyree. 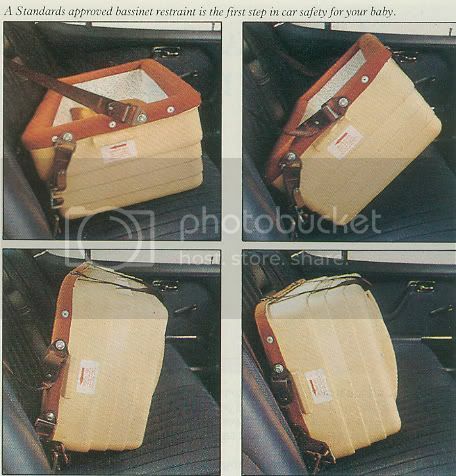 With the recent story on Campbell Live about a Police Occifer issuing a ticket because a child looked too old to be in a rear facing car seat, I thought it would be good to go over some car seat safety. Today's information comes from an A-Z parenting magazine dated 1983. Some of the advice is still good (such as "check that the straps aren't twisted") but it's hardly fun to include that now is it? 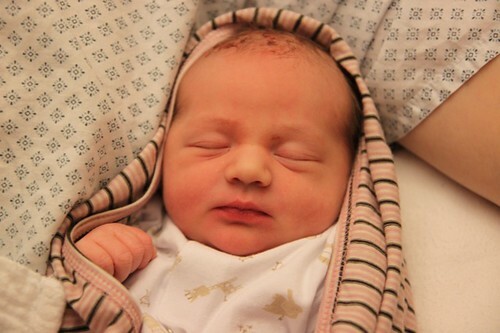 While baby is still in a bassinet it should be covered with a securely fitted net and firmly anchored to the back seat. Point baby's head towards the centre of the car. If this is not possible at least wedge the bassinet on the floor between the front and back seats. Definitely not recommended, but as a last resort, nurse the baby in the back seat, never in the front seat and never with baby in the belt with an adult. Damn, that would've made our recent trip to Taupo much quicker! 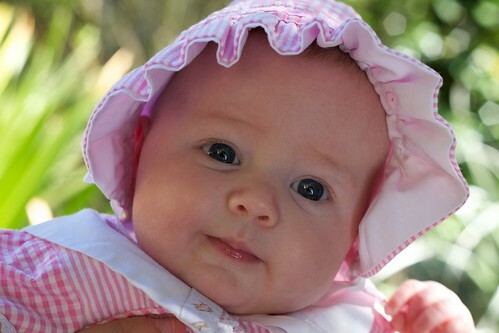 There is now at least one bassinet restraint which is Australian standards approved. In this system, you buy a specially made safety bassinet. Baby is secured in a zippered cocoon inside a reinforced bassinet, which sits on the back seat attached to safety harness. In an accident this bassinet rotates backwards, ensuring that baby cannot be thrown out or hit by flying glass. 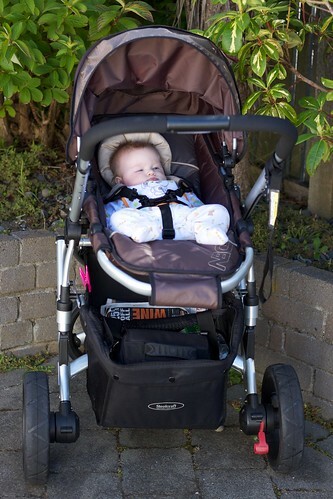 This bassinet also fits to a stroller base for use outside the car. 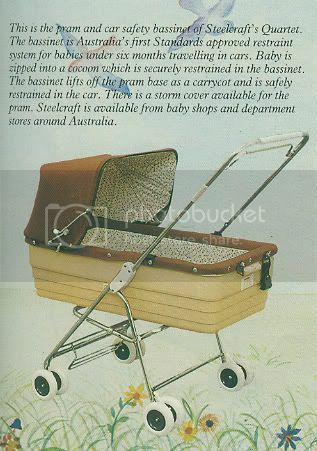 Heyyy, my pram is a Steelcraft and is also brown! Good to see their design team have stuck with such a lovely colour choice. At least my pram's wheels are giant instead of teeny tiny like those. How much fun would that have been to push?? 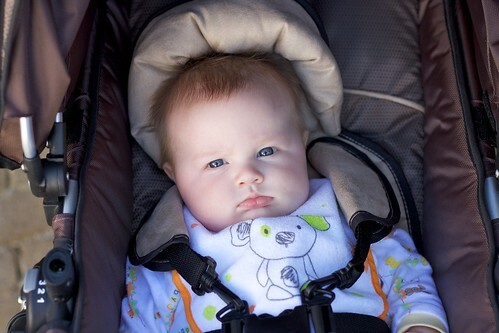 When children are old enough to sit, about six months, they must be placed in an approved child restraint seat. 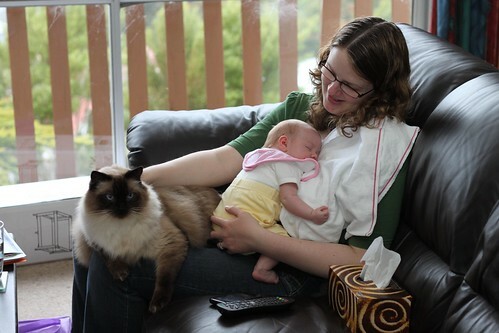 Don't hold them on your lap and never harness them in the belt with you. Do not strap two children into the one belt. This ad came from another booklet that isn't dated. 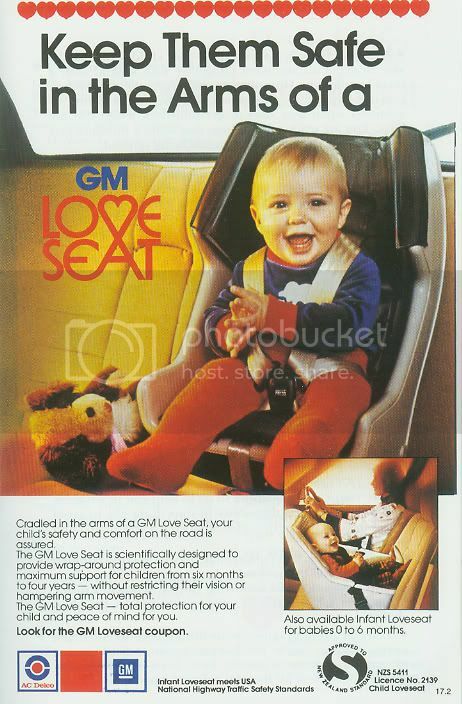 I'm assuming it was towards the late '80s as you'll note the snazzy wee infant seat (next to the driver!) in the bottom right corner. 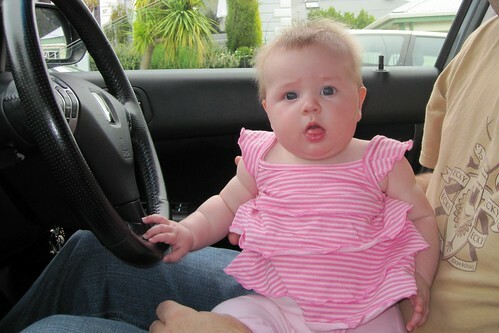 If I recall correctly, my car seat was strapped in the front and dad had to sit all squished up in the back of mum's car. HA!